Die casting, Stamping and Cold forging to form a preform of the lamp body casing. Die casting is a metal casting process characterized by the use of a mold cavity to apply high pressure to the molten metal. 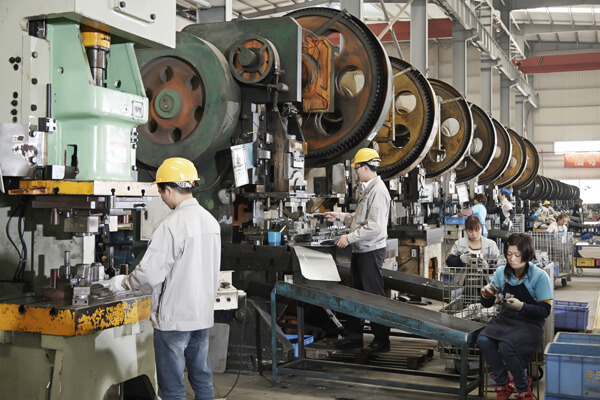 Molds are usually machined from higher strength alloys, some of which are similar to injection molding. Stamping is a method of forming a workpiece (stamping part) of a desired shape and size by applying an external force to a plate, a strip, a pipe, a profile, and the like by a press and a die to cause plastic deformation or separation. Cold forging is a forming process below the recrystallization temperature of the material, and is forging at a temperature below the recovery temperature. Cold forging materials are mostly aluminum and some alloys, copper and some alloys, low carbon steel, medium carbon steel and low alloy structural steel with less deformation resistance and good plasticity at room temperature. Some of the lamp body parts of digital tubes, downlights, point light sources, etc. are made of plastic materials,they are usually produced by injection molding machine, and partly by blow molding. Injection molding is a method of producing shapes for industrial products. Products are usually injection molded from rubber and plastic. 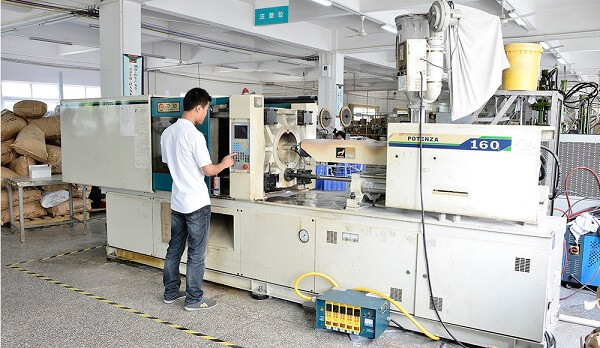 Injection molding can also be divided into injection molding and die casting.Injection molding machine is the main molding equipment for making thermoplastic or thermosetting materials into plastic products of various shapes by using plastic molding die. The electronic circuit board of the luminaire usually adopts an aluminum substrate. Because the heat dissipation coefficient of the aluminum substrate is higher than that of the ordinary glass fiber slab, the LED can obtain sufficient heat dissipation, prolong the light fading period of the LED, and improve the service life of the luminaire. 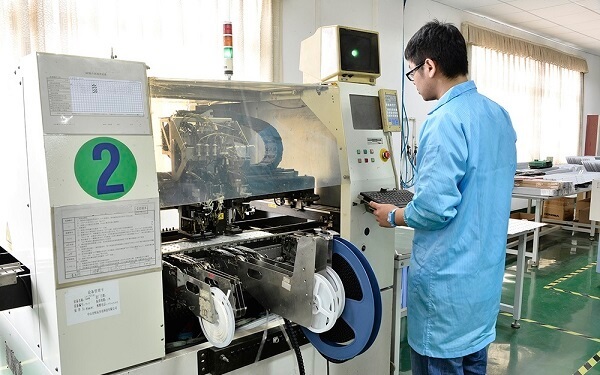 Due to the small size and the large number of LEDs, LED boards are usually produced by means of a patch machine to increase production efficiency.